I had an “ah-ha” moment today. Not involving the 80s band, but more like at the end of a Maury Povich show, where the paternity test results came back in, and the Baby Daddy you were expecting to be the father ends up different. Gus is not who we thought he was. 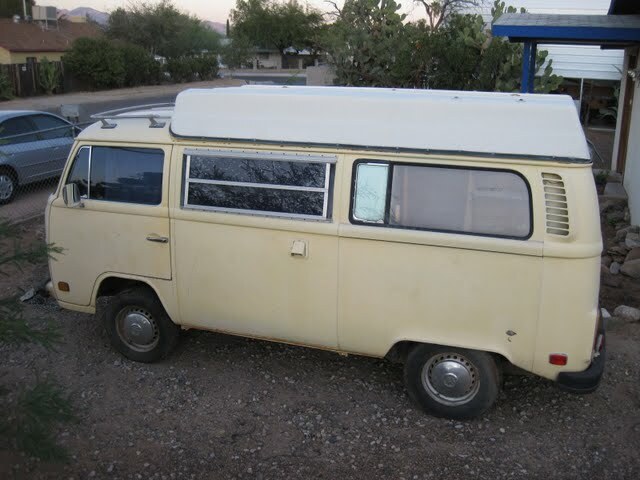 All of this time (it will be five years of ownership in a few weeks) I assumed Gus was a Sportsmobile conversion, because he looked like one. He has the same poptop and front luggage rack as a Sportsmobile. This is a VW Sportsmobile. And this is Gus. Everyone on The Samba said it was a Sportsmobile, so I left it at that. 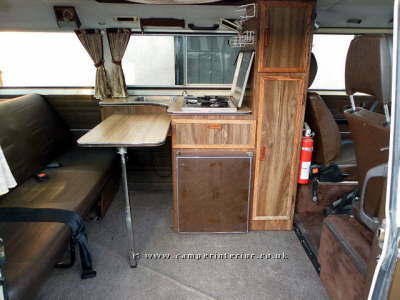 Somehow last night I stumbled upon Country Homes Campers, which was another camper conversion company of VW’s – mostly Vanagons. I had found their site awhile ago looking for poptop replacement canvas. They were (still are, actually) based in California (which is where Gus is from). The company is still around in some capacity, selling some replacement parts for their conversions. I was almost 100% sure Gus was a Country Homes Camper conversion. But I wanted to check on The Samba to see if anyone knew if CHC had done Bay Window conversions. I received some helpful advice, but no one really seemed to know. 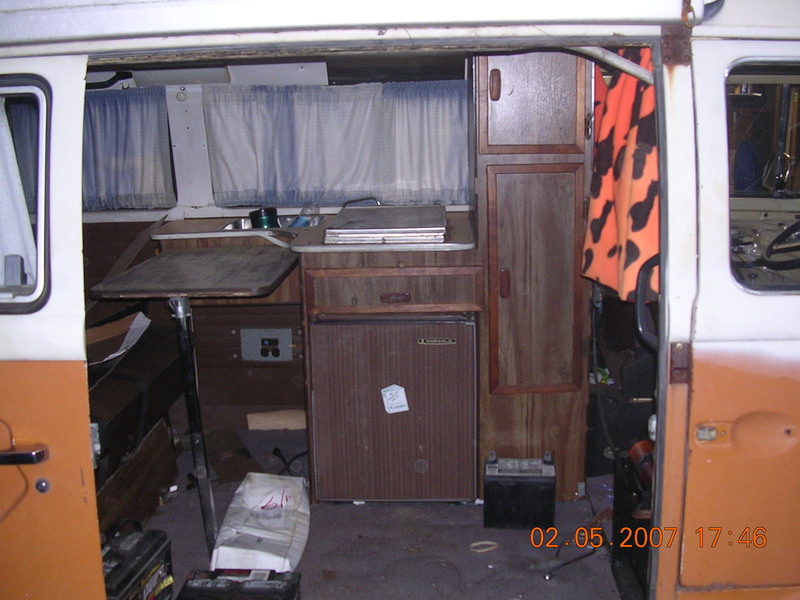 In the meantime I had sent an email to the Country Homes Campers website to see if they knew, along with links to pics of Gus’s interior. in 1997. The keep my site up for informational purposes, help customers find parts, sell some small parts (rollers,etc.) and I also sell Shady Boy awnings. I am going to start another company and sell 3.27 R&P sets for the automatic Vanagon. 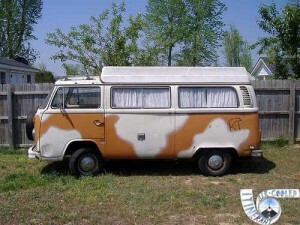 Do you need any parts for your Camper? You mean Sportsmobile is not Gus’s baby daddy, but CHC is??? Actually this was pretty cool news, as the Country Homes Campers website has links to all of the accessories manufacturers (like my battery isolator for example, which had a wiring diagram pdf so I know exactly how to hook up my accessory battery!! ), and they sell some replacement parts. And I believe they sell replacement poptop canvasses, which is very cool, and they supposedly have a few of the Country Homes Campers stickers left. The stickers go on the poptop. I definitely want to get a pair. So of course I started looking up CHC pictures on the Interwebs, and I found the final piece to put Gus’s paternity to rest. 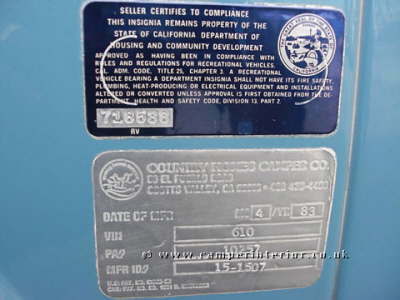 This is the ID plate/sticker from a 1983 Vanagon Country Homes conversion (the silver one). 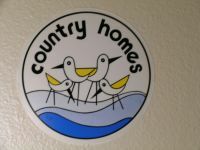 Gus has the exact plate/sticker, but part of it is conveniently gone (the part that says Country Homes Camper, which would have made the ID process a lot easier). Also from Salim’s email, the company started in 1978 (which Gus is) in Oakland, California. Gus (according to his Warranty Card) was sold at Oliver Volkswagen in Vallejo, California…which is 25 miles from Oakland. Pretty cool…if you are a VW nerd like me.